U.S. car buyers really liked pickup trucks and crossover SUVs last year, but cars will still sell if they have what drivers want. You aren't buying as many cars, trucks and SUVs as you used to, but you're buying the vehicles you want. General Motors (GM - Get Report) , Ford (F - Get Report) , Fiat Chrysler (FCAU - Get Report) and Toyota (TM - Get Report) were among the automakers who saw their sales in the United States decline in 2017. Overall, according to MotorIntelligence, U.S. vehicle sales dropped from 17.55 million in 2016 to 17.23 million last year. It isn't as if the public has written off buying vehicles altogether. Karl Brauer, executive editor of automotive pricing and analysis sites Autotrader and Kelley Blue Book, notes that buyers saw gas prices averaging less than $2.50 per gallon and wanted nothing to do with sedans and coupes anymore. Sales of almost every car model declined this year, with MotorIntelligence putting the total drop at nearly 11% since the end of 2016. "Any time the market passes 17 million units it's a good year for the auto industry, though the real story in 2017 was the near wholesale death of the car," Brauer says. The 6.3 million cars sold in the U.S. last year trailed the 7.1 million SUVs and crossover vehicles sold during the same span, but it wasn't just cars that fell out of favor. The number of minivans sold in the U.S. plummeted by 12.4% to 484,600. 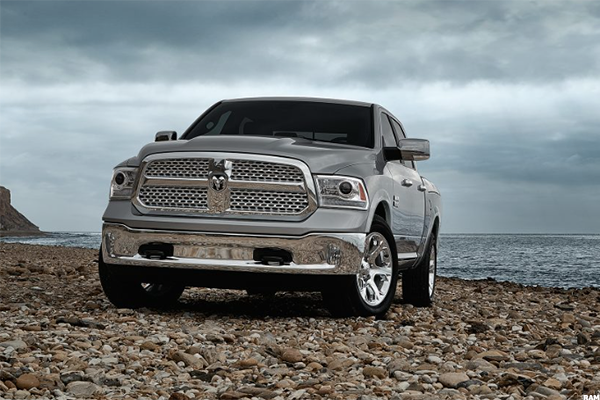 By comparison, Chrysler sold roughly that many (500,700) Ram pickups alone. 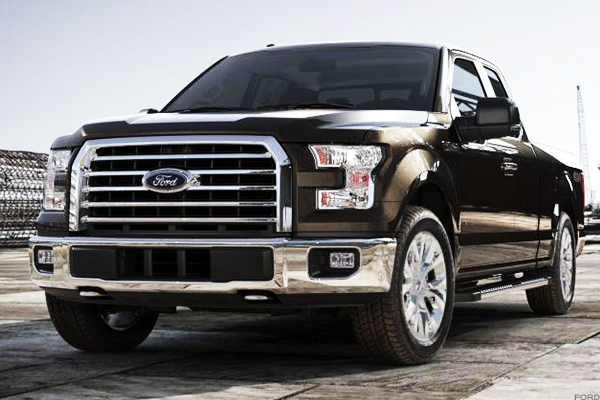 In fact, while cars and minivans faltered, sales of pickup trucks increased 4.8%. For the first time in recent history, automakers sold more pickup trucks (2.82 million) than they did midsize cars (2.79 million). Buyers are already into crossover SUVs, but GM's updates for 2018 increased sales of its flagship crossover 20% in 2017 despite falling sales for GM overall. 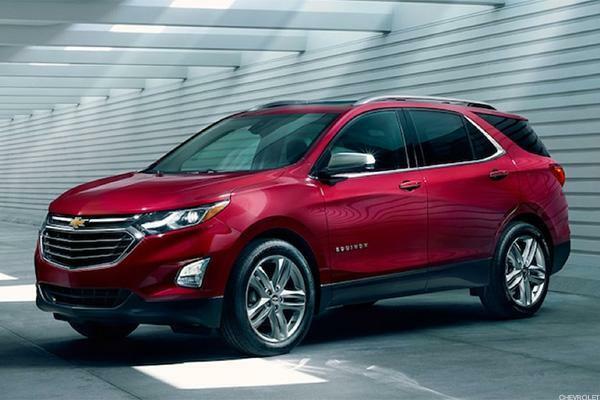 The 2018 Equinox is now 400 pounds lighter than the original, is down to a 1.5-liter 4-cylinder engine and has shrunk cargo space down to 30 cubic feet with the seats up and 63.5 with them down. Total mileage of 33.5 mpg, including nearly 40 mpg on the highway, turned out to be a nice tradeoff for the Equinox's overall smaller stature. 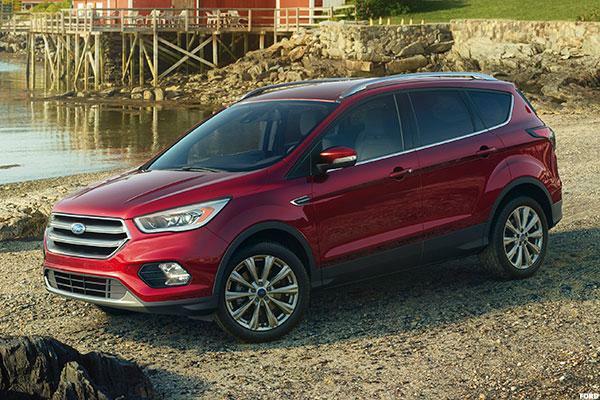 Ford hasn't given this crossover an overhaul since the 2013 model year, but its U.S. sales have risen steadily since 2006. That doesn't mean it's necessarily a driver favorite. As Kelley Blue Book analyst Rebecca Lindland pointed out, Ford sales rely heavily on fleet sales to vehicle rental companies. If you want to give the Escape a tryout, just head to an airport rental lot: Ford's overall rental fleet sales increased 16.8% in 2017. 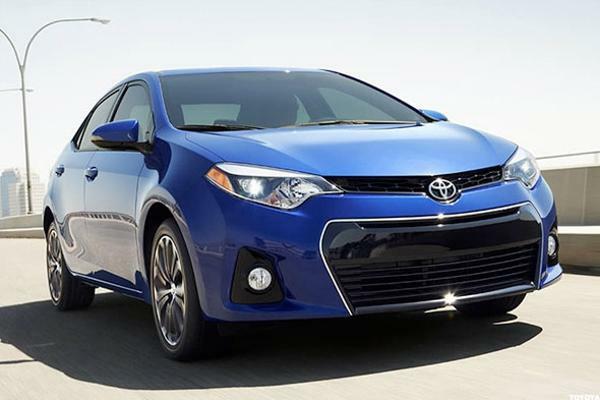 The Corolla subsists on being cheap, reliable and getting the job done. Its combined 35 miles per gallon and that 13 cubic feet of trunk space work out just fine and make it the ideally utilitarian vehicle of choice for car rental companies, thrifty families and folks who don't expect a whole lot of excitement from this segment of the market. While this is the fewest number of Corollas -- or its Matrix hatchback version -- sold since 2013, that was also the last year it received a substantial update. Back in October, we called the all-new 2018 Honda Accord "a big deal." Buyers didn't share that sentiment. Honda killed the Accord's V6 engine, but left fans a four-cylinder turbocharged option that produces 252 horsepower. While that's great for tuners who want to live out the next installment of a Fast and the Furious film, it does little for families who just want more space. 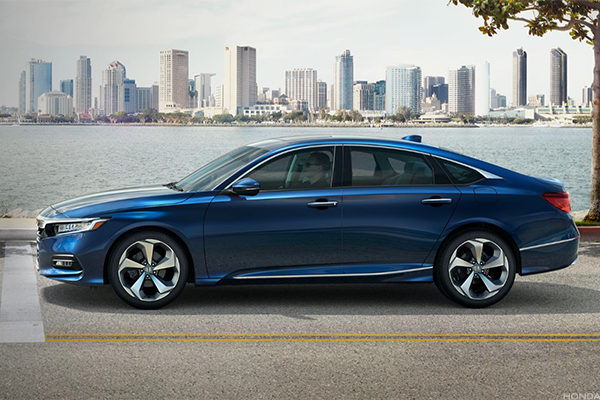 A combination of fans waiting for a 2018 model and other buyers skipping the Accord altogether dropped the Accord's sales 6.5% in 2017. 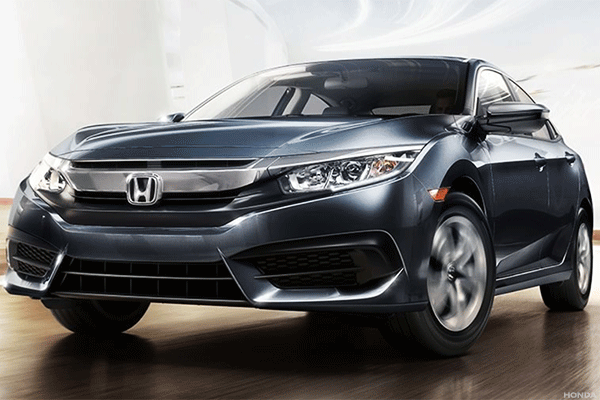 The Civic routinely ranks among the Top 10 vehicles in the country in sales, but it relies heavily on mileage (36.5 miles per gallon combined, including 42 on the highway) and a facelift in 2016 that included rain-sensing wipers, a capless fuel tank, heated seats and steering wheel controls. All of the above are why families and frugal-minded buyers love this car... and why its sales actually rose 2.8% last year while just about every other car's U.S. sales declined. Putting a small SUV onto a Honda Civic's frame turned out to be one of the best moves Honda has ever made. 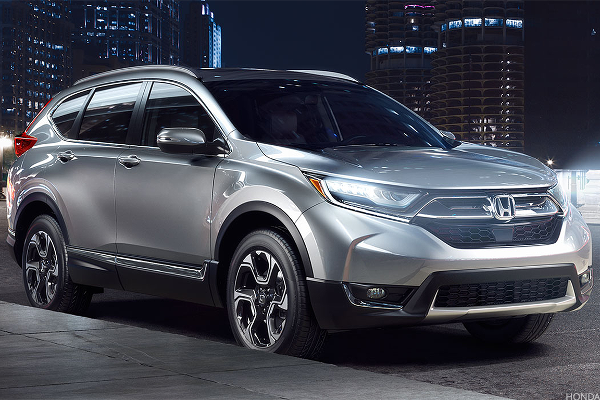 The CR-V has been kicking around since 1995, but it remains relevant thanks to 2017 upgrades including a power lift-gate, Android Auto, Apple CarPlay and the "Honda Sensing" safety package of anti-collision features. It helped U.S. vehicle buyers transition from SUVs to more efficient car-based crossovers and saw sales increase 5.8% in 2017 alone. It isn't one of the Top 5 vehicles sold in the U.S. anymore and isn't even the top-selling vehicle in Toyota's lineup, but just look at the number of vehicles it sells. At a time when car buyers seemingly would sooner walk than buy a midsize sedan, the Camry still puts up crossover-type numbers. 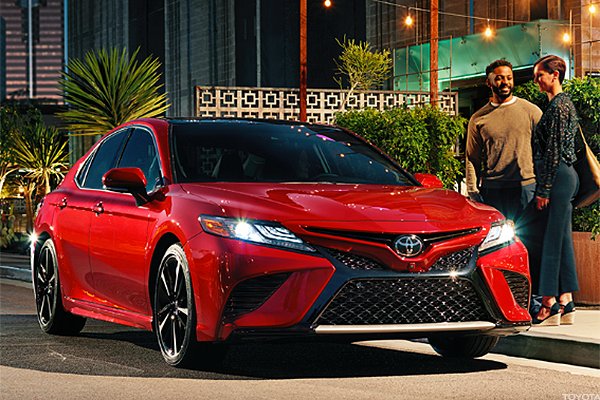 Its sales in 2017 decreased 0.4%, but an overhaul for 2018 that beefed up its horsepower, increased its overall mileage and added a suite of safety features provides the Camry with hope for the future. The Rogue didn't often get mentioned among the crossover elite, but its sales have jumped by more than 110,000 vehicles -- or about 34% -- since 2015. 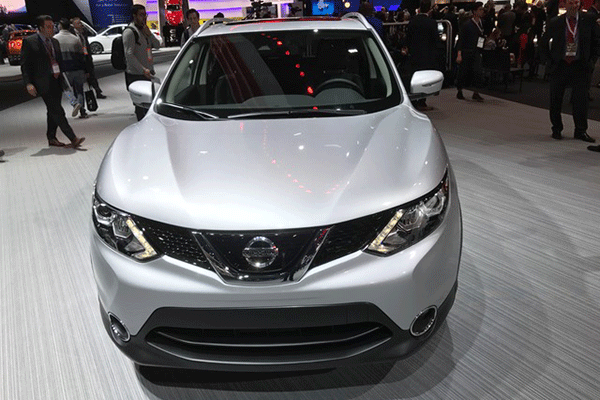 We're sure Nissan would love to credit the facelift and new LED daytime running lights it gave the 2017 models or the standard safety features (automatic braking, blind spot warning, rear cross traffic alert) that it added for 2018. But with the Nissan Rogue getting a big boost from a marketing tie-in with Disney's (DIS - Get Report) Star Wars films, that may have been the disturbance in the force that Nissan was looking for. For years, it was "the one with the wheel on the back" among a field of crossovers. Today it's Toyota's best-selling vehicle and the top-selling vehicle in the U.S. that isn't a pickup truck. It hasn't been drastically redesigned since 2013, but buyers really don't seem to care. There are 38 cubic feet of cargo space -- 73 with the rear seats folded flat -- accessible through a power liftgate. 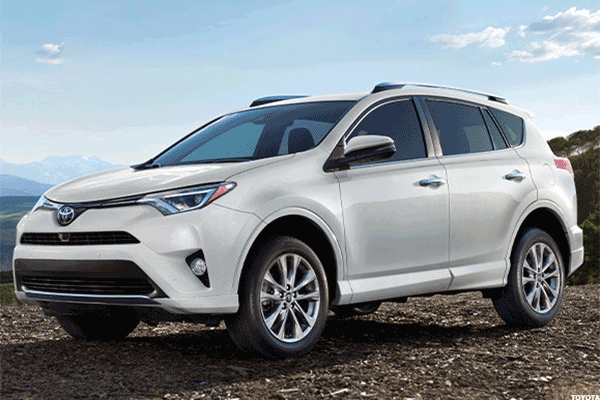 Heated front seats, LED headlights, back-up camera, blind-spot warning system, dual-zone climate control, power moonroof, Apple Siri Eyes Free and reclining rear seats have all helped give the RAV4 some breathing room among the other small crossovers. Even with a complete redesign slated for the 2019 model year, this pickup managed a 2.3% uptick in sales last year. Buyers are still taken with the lightweight aluminum body, 3.6-liter V6 engine and RamBoxes in the sidewalls of the bed that are not only waterproof and drainable, but "fit up to 240 cans of your favorite beverage in a 5'7 bed or 280 cans in a 6'4" bed configuration" apiece. Combine that with 74.7 cubic feet of cargo capacity and 1,300 to 1,600 pounds of payload capacity, and you've got a truck that knows how to work and play. It's the last year before GM's bruiser of a pickup gets a huge overhaul as well. 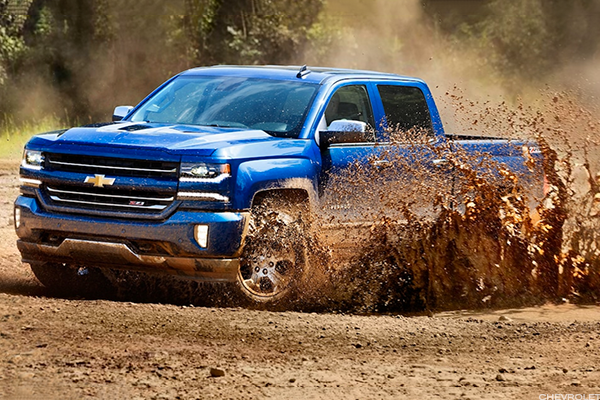 But the Silverado and its sibling pickup, the GMC Sierra, sold nearly 804,000 vehicles combined last year. However, the Sierra's sales actually dropped with no upgraded Sierra on the horizon. With Chevy increasingly focusing on upgrades like its MyLink audio system, Bluetooth connectivity, OnStar telematics, SiriusXM satellite radio and mobile Wi-Fi hotspots, making these trucks lighter and smarter has become a priority. An aluminum body and 3.6-liter V6 engine helped improve fuel efficiency (even if only to get combined mileage over 20 miles per gallon), while new tech features for both entertainment and communication bring it into the 21st century. That said, the F-150 could have remained as basic as ever and still sold more vehicles in a year than certain vehicle categories. It's on four decades of leading the U.S. and the pickup truck category in sales. Judging by its 9% jump in sales last year, it isn't slowing down anytime soon.